Andrew Jacobi always flirted with the idea of starting a food business, but found himself chasing the competitive high of private equity after college. After yet another late night, he decided to think more seriously about his long-harbored love for meat. 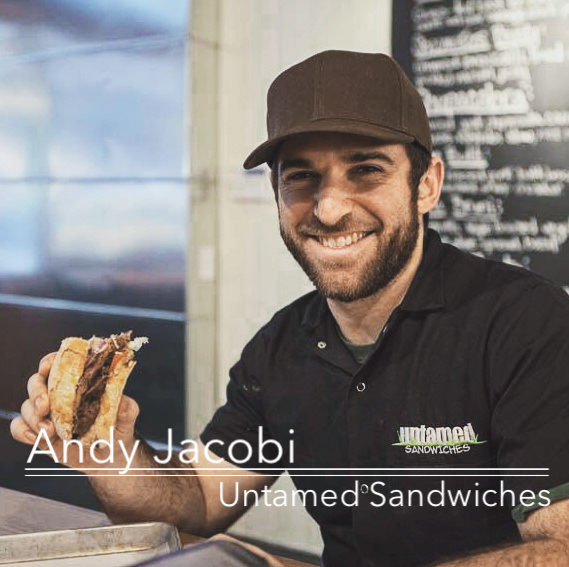 After learning the beef supply chain first hand and meeting his founding chef, Ricky, Andy started Untamed Sandwiches, a fast-casual concept with 3 locations across NYC. Untamed’s unique focus on braised meat as the centerpiece has allowed him to use “less-loved” cuts of meat to build a restaurant business that is delicious, accessible and scalable. Join us as we talk about the highs (and lows) of raising money, balancing family with entrepreneurship and managing the operations of a growing business. Andrew Jacobi Ethan Frisch fast casual food business food entrepreneurs Jenny Dorsey Logistics meat supply chain Untamed Sandwiches Why Food?